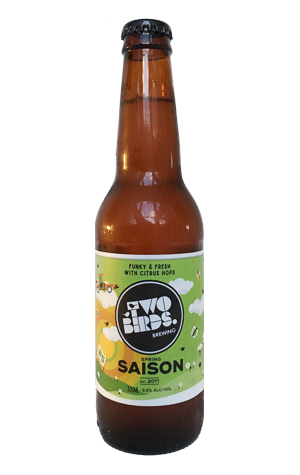 A look at the weather forecast for their hometown of Melbourne may suggest otherwise but, allegedly, spring has sprung, meaning it's time for Two Birds' second bottled seasonal release. It's one with which they look to reassure us of better times ahead thanks to a label featuring a rising sun, blooming flowers, butterflies and, um, the Delorean from Back to the Future on a cloud. Inside you'll find a saison given an extra aromatic kick thanks to the use of "floral and fruity" Aussie hops. In combination with the French saison yeast strain – one known for its lively spicy, peppery, citrusy character – they give you a beer that, aromatically, is like burying your head in a citrusy herb garden and, on the palate, is lean, limey, peppery and dry.